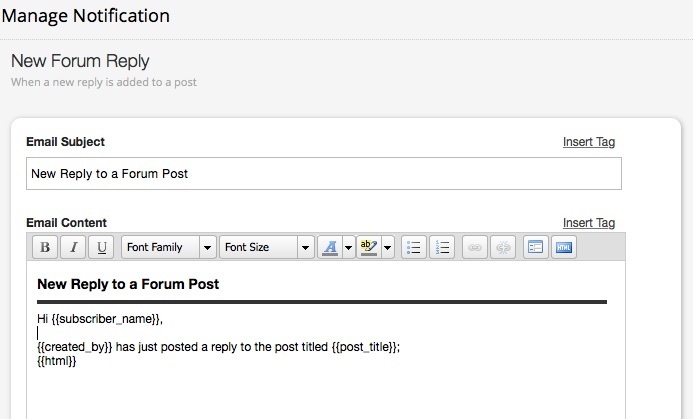 Forum notifications can be set to trigger emails whenever there is new reply on any of the forum topic. 1. To set a forum reply notification, go to 'Manage' >> 'Notifications' >> 'Forum Notifications'. 2. Click on "New Forum Reply". You will be directed to a text editor. 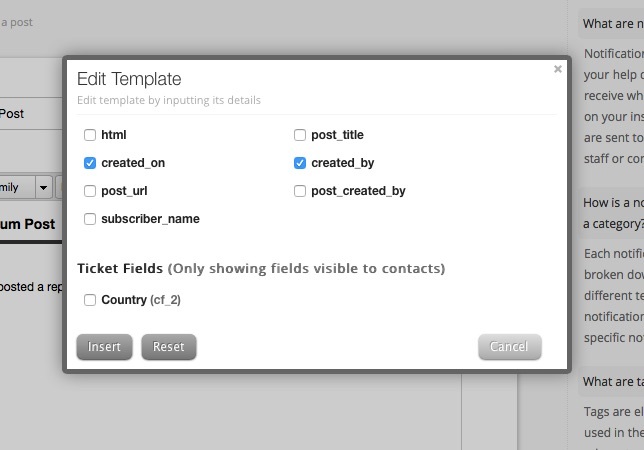 You can use this text editor to set a template to the replies you make for "Forum Posts". 3. You can use the "Insert Tag" link to edit tags in the reply template. These 'tags' can be linked to any forum notification email(s) for more customized messaging.